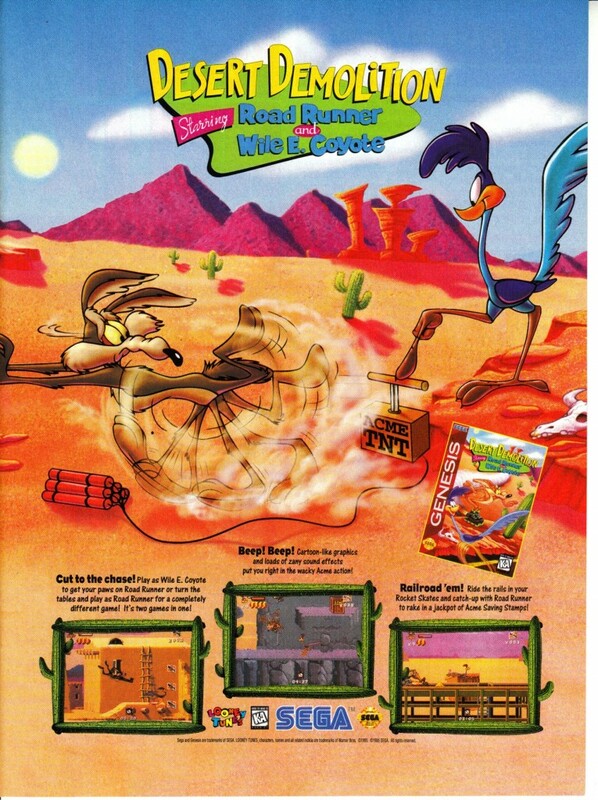 Desert Demolition starring Road Runner and Wile E. Coyote is one of only a handful licensed 16-bit games that are actually any good. The game boasts superb sprites and animation, and does a pretty spectacular job of capturing the spirit of the classic Road Runner shorts. It’s a bit on the easy side, though. Tags: BlueSky Software, Looney Tunes, Road Runner, Sega, Video Game Ad of the Day, Warner Bros.